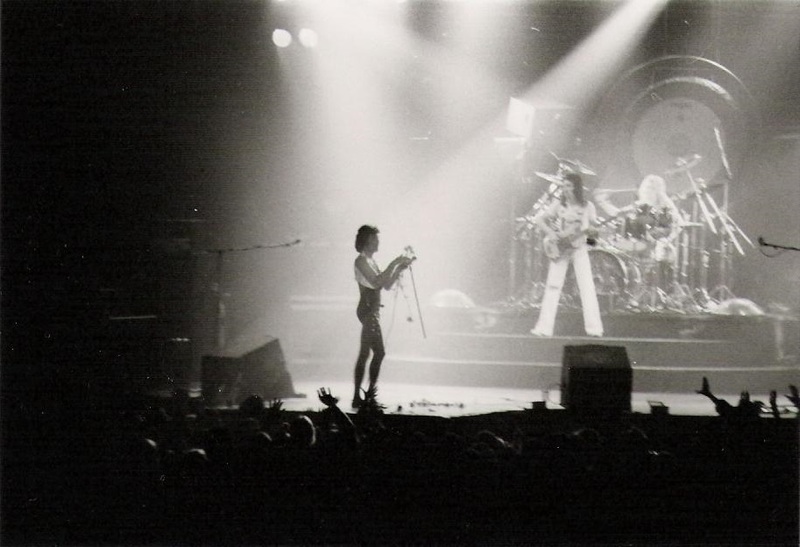 The setlist was confirmed by Stephen Greenaway, who attended the show. 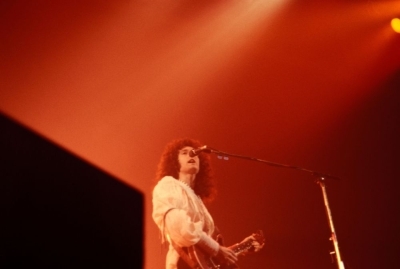 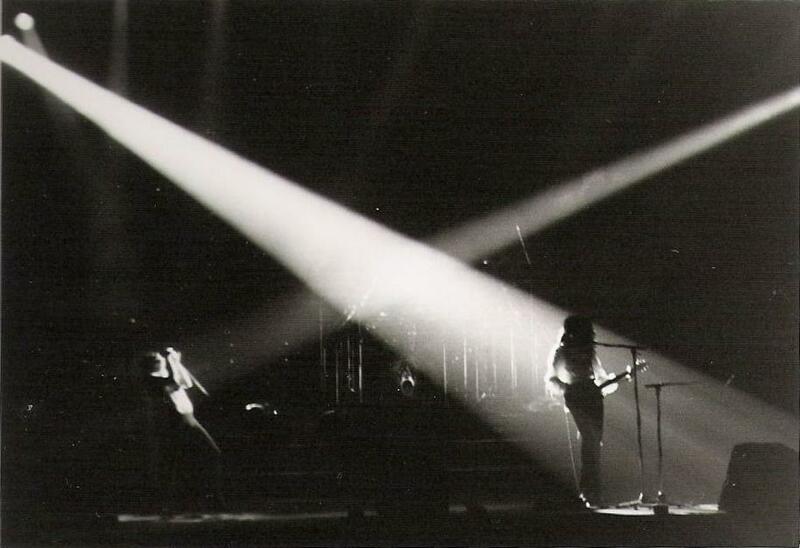 Another fan recalls the sheer excitement of seeing Brian May's tech with his flashlight guiding him to the stage in the dark, and how powerful the explosion at the beginning of Tie Your Mother Down was. 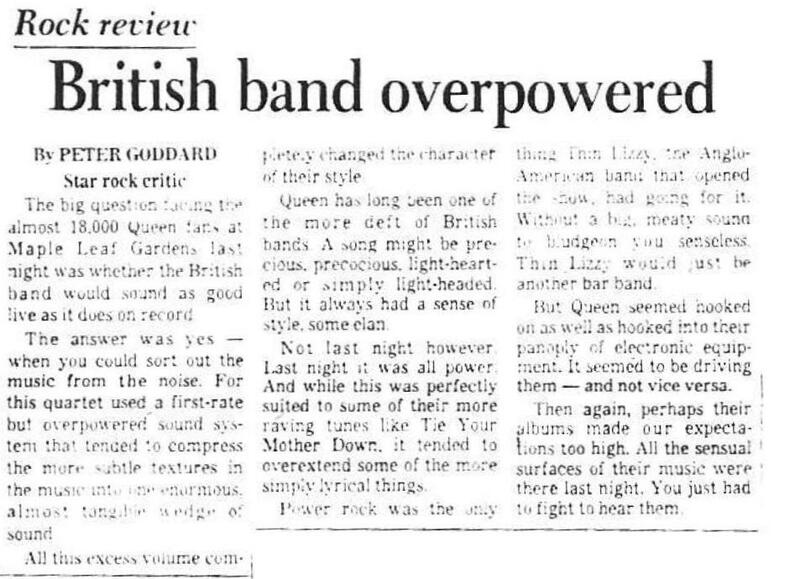 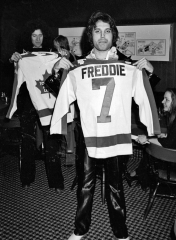 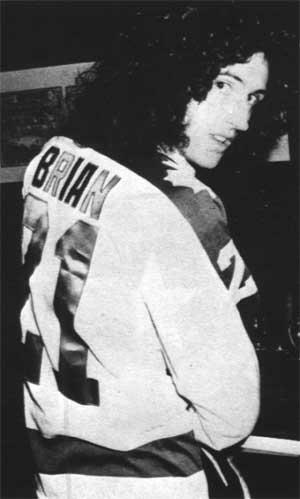 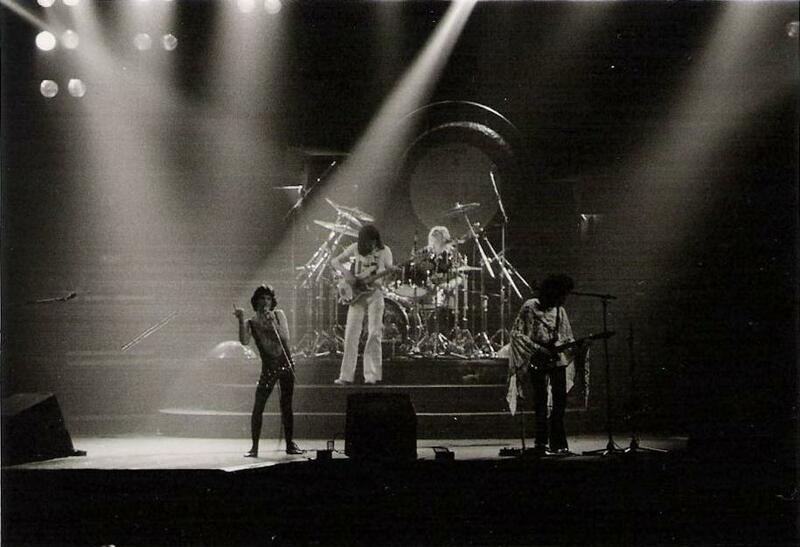 He adds that during Thin Lizzy's opening set, part way through Jailbreak, Phil Lynott kicked over one of Queen's monitors and said, "we'll let Freddie and the crew worry about that." 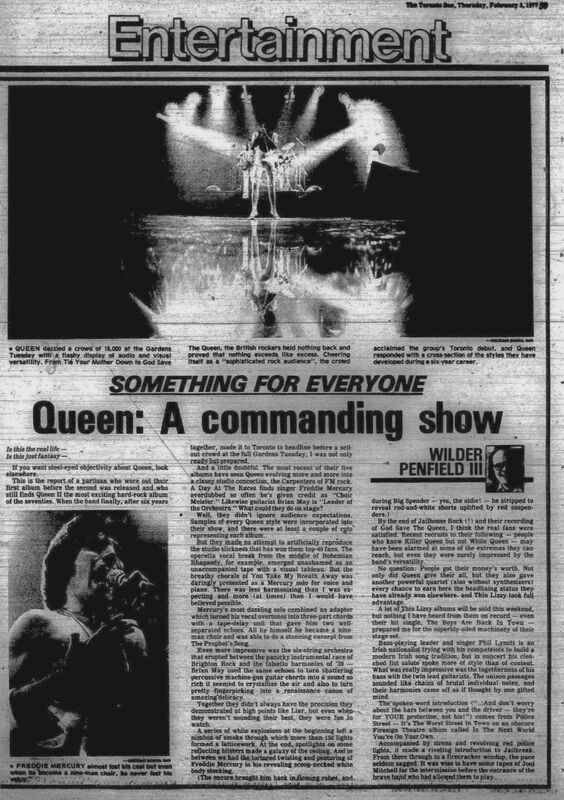 Here are two reviews - from the February 2 Toronto Star and the February 3 Toronto Sun. 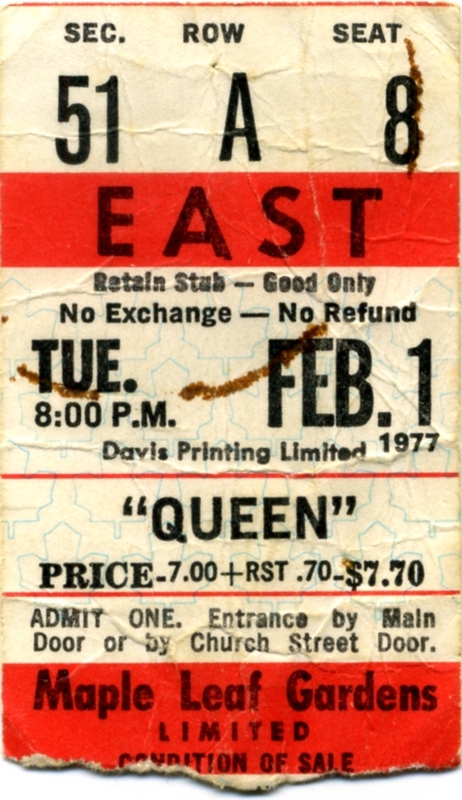 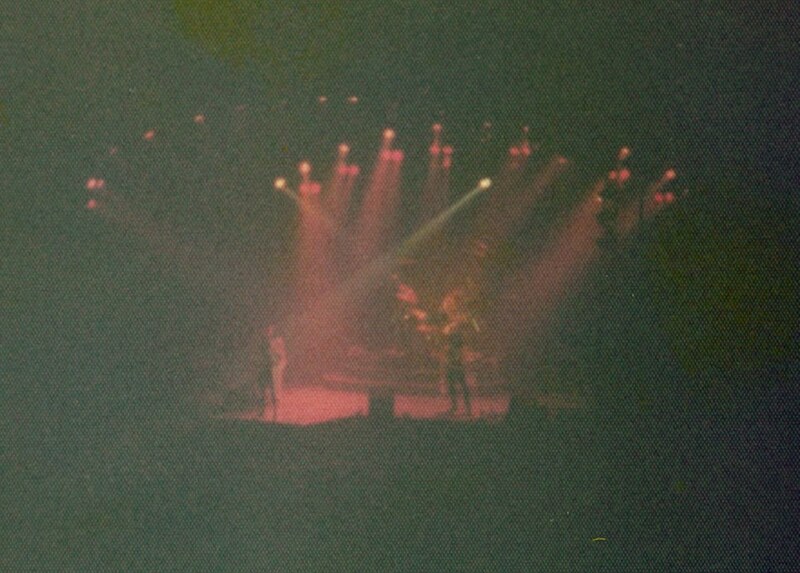 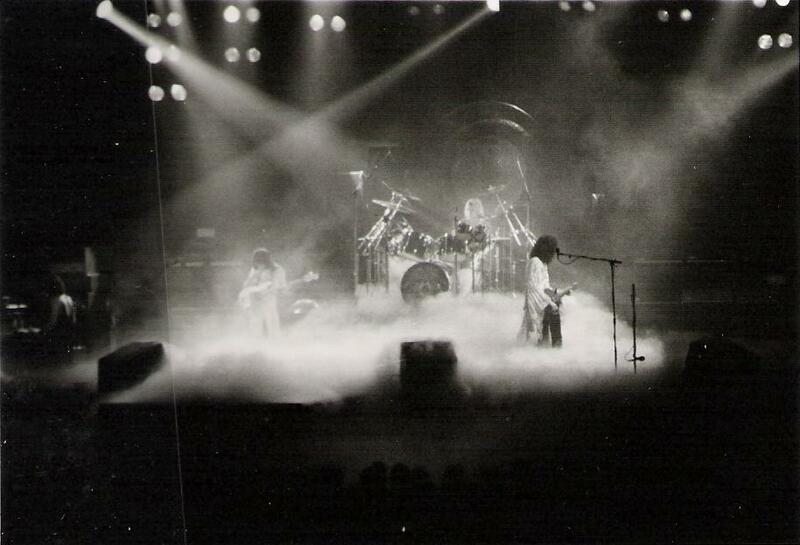 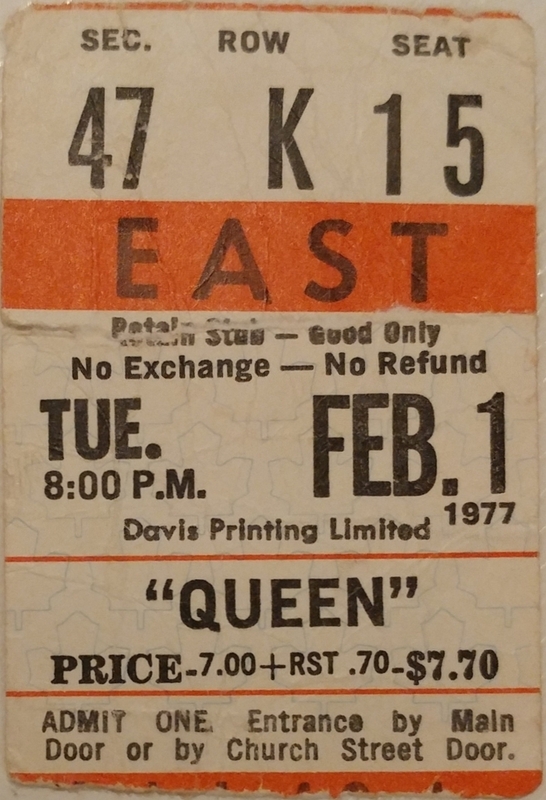 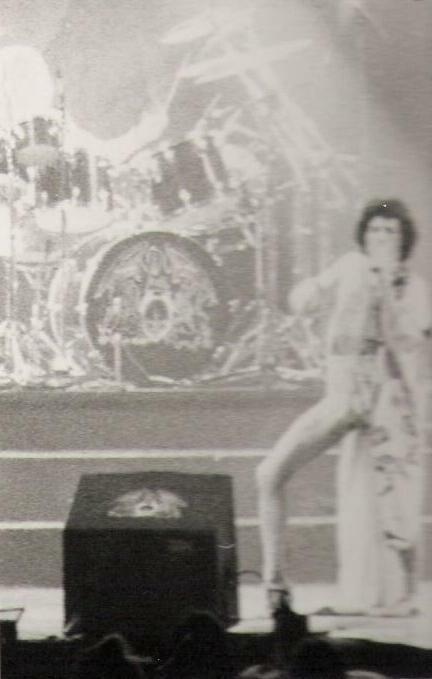 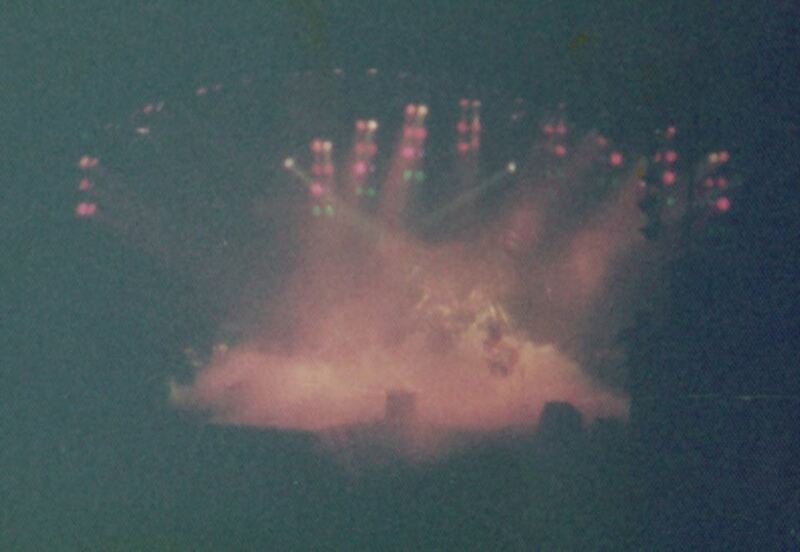 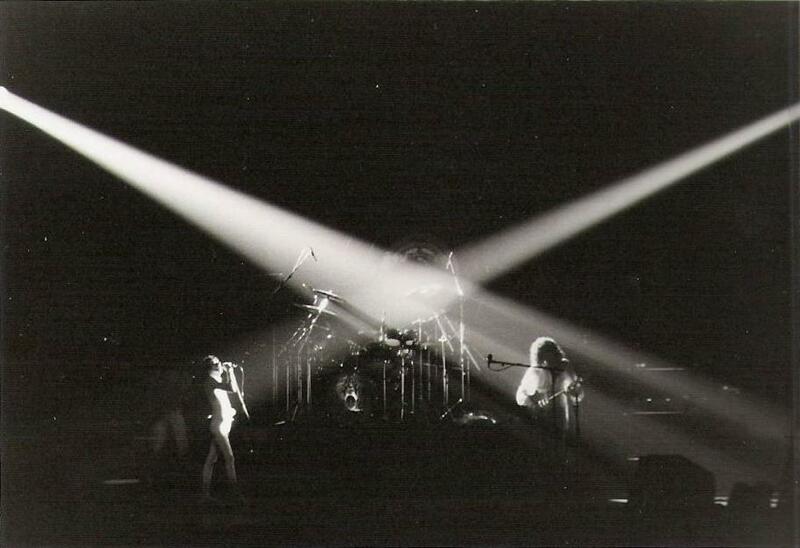 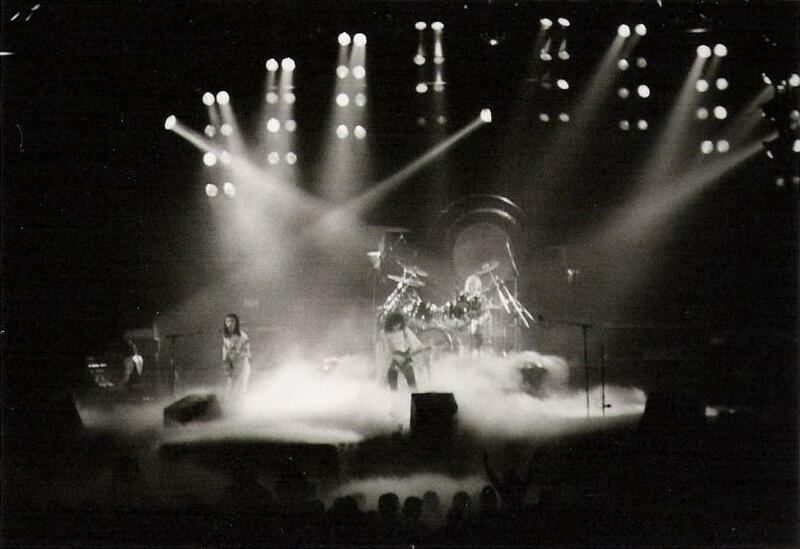 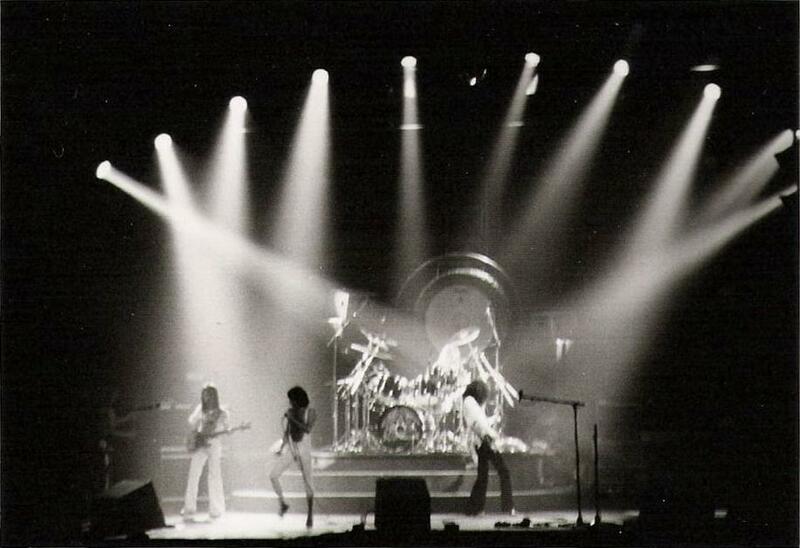 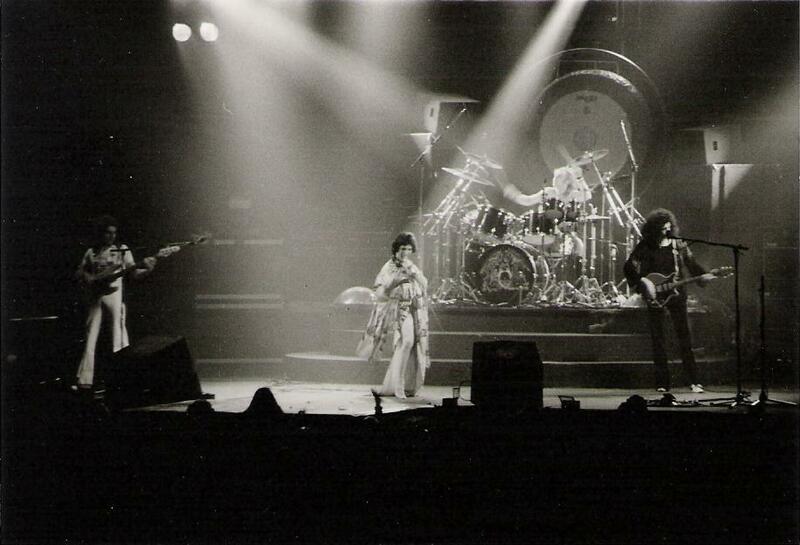 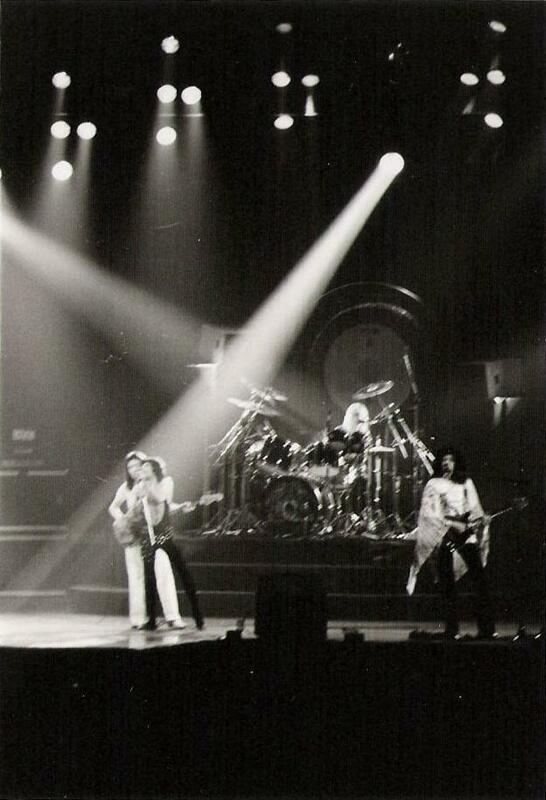 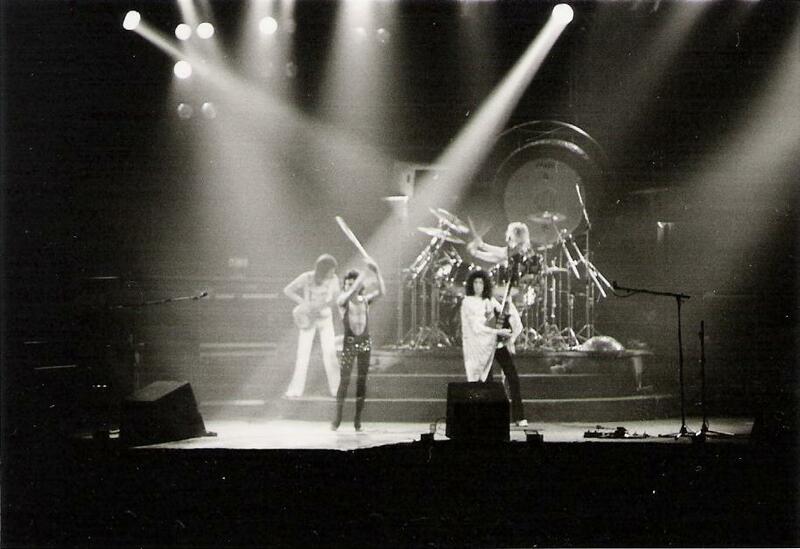 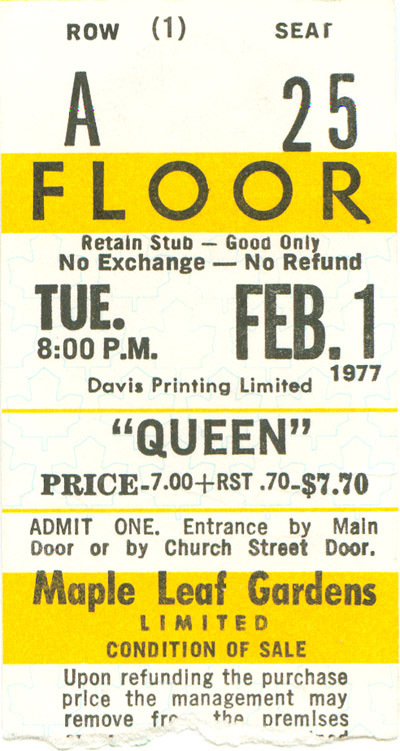 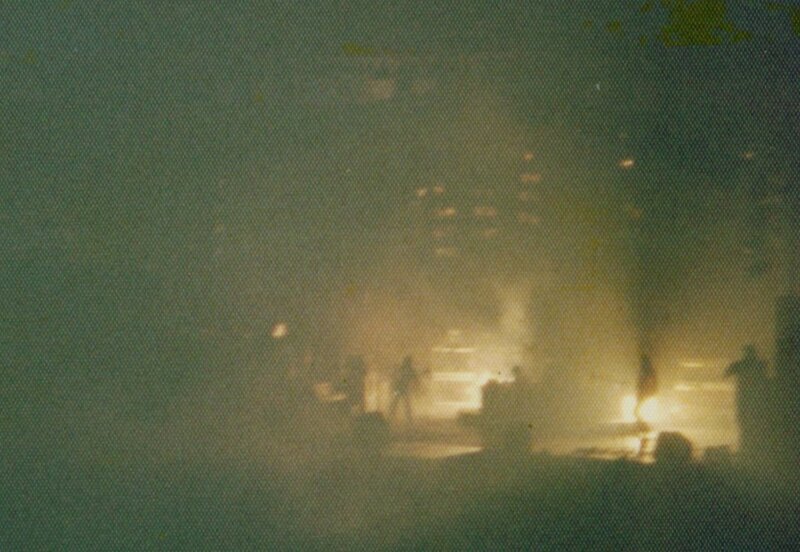 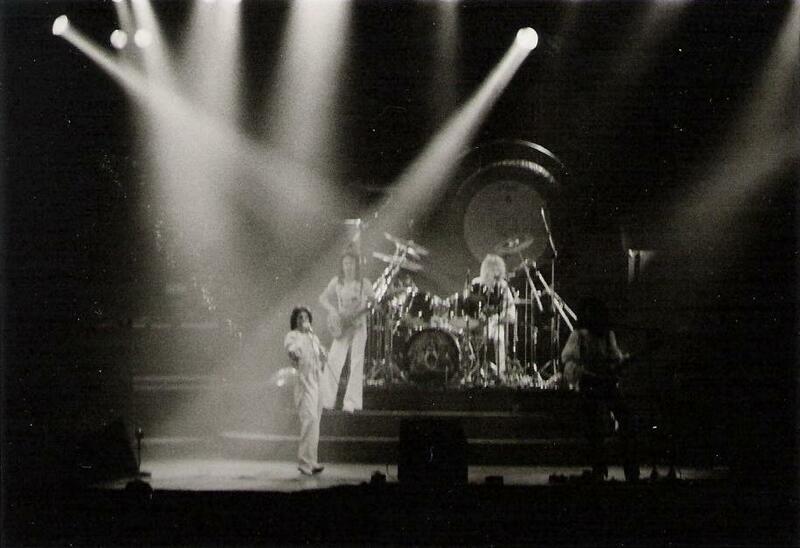 Despite the Star reviewer's claim that there were sound issues, many people who saw the show insist the sound was excellent. 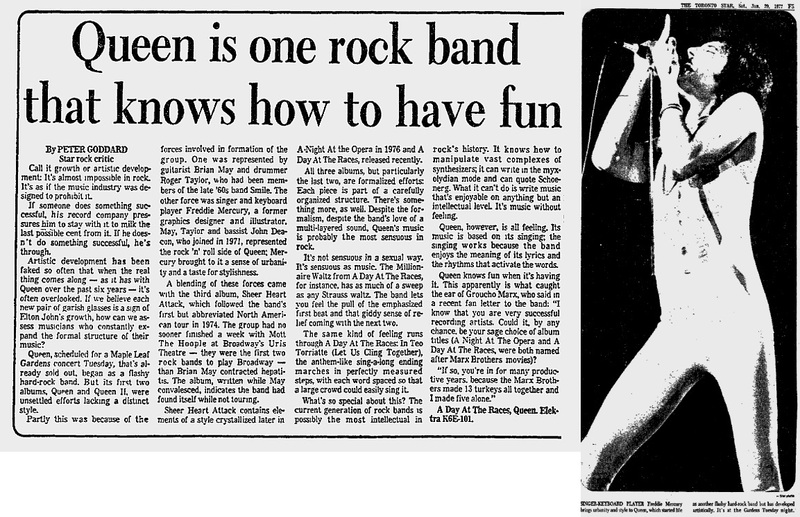 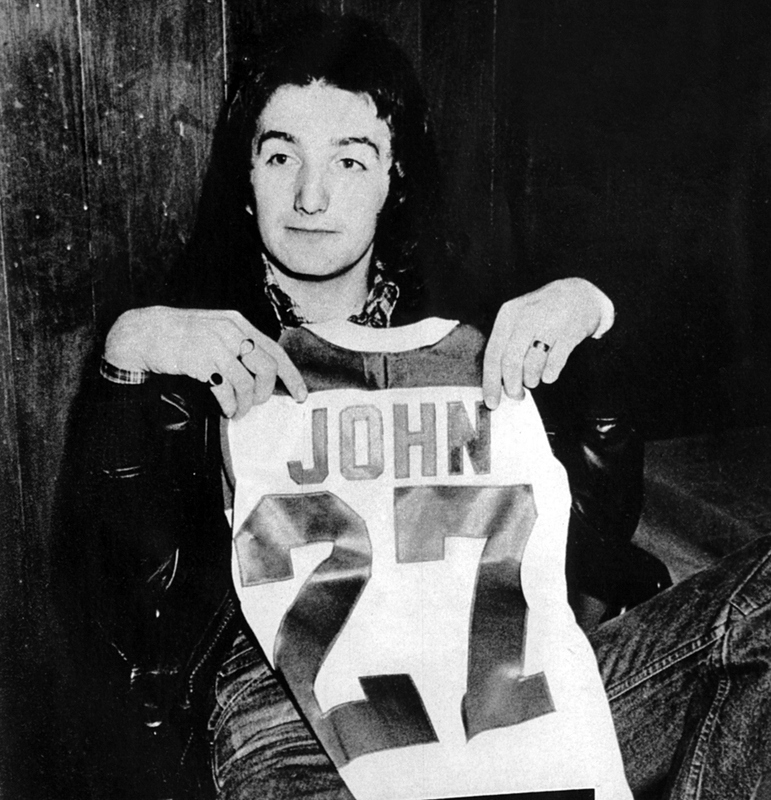 The same Star writer also did this great piece on the band a few days before the show. 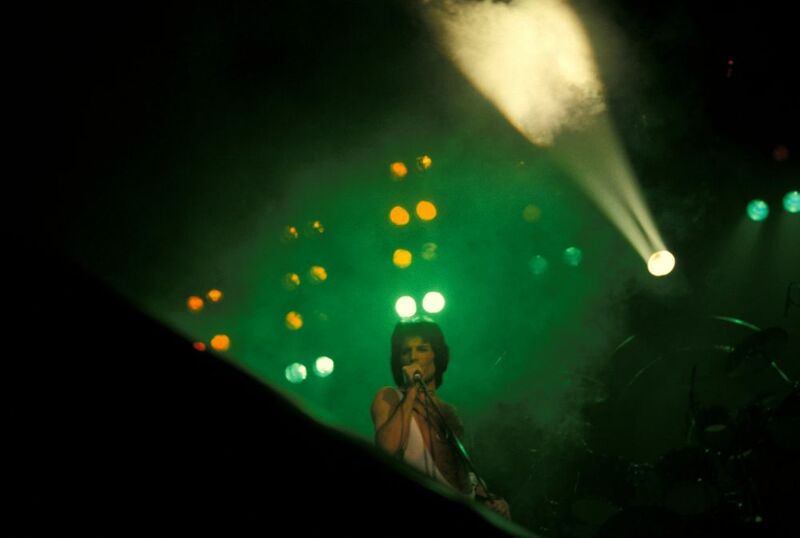 The second set of pictures were taken by Erik Cartar. 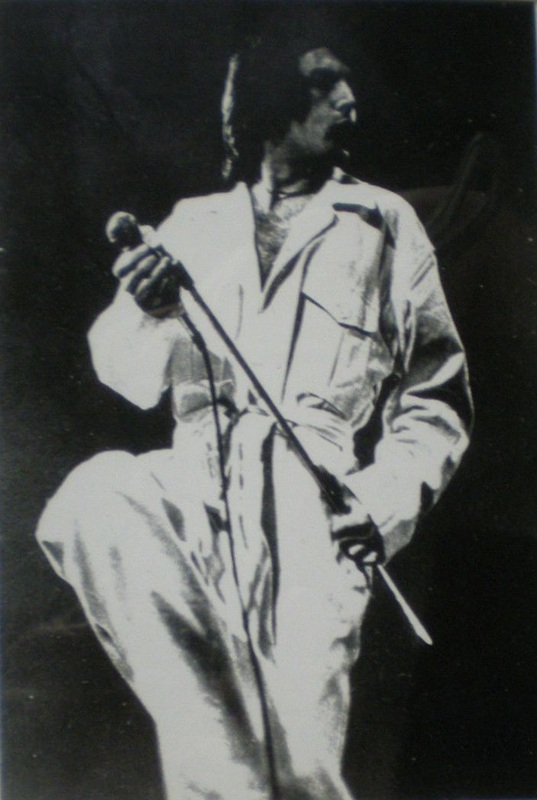 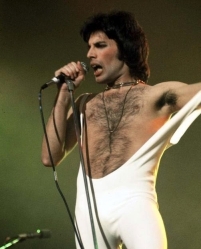 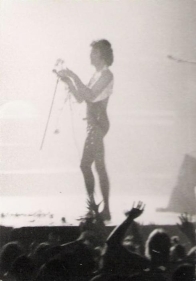 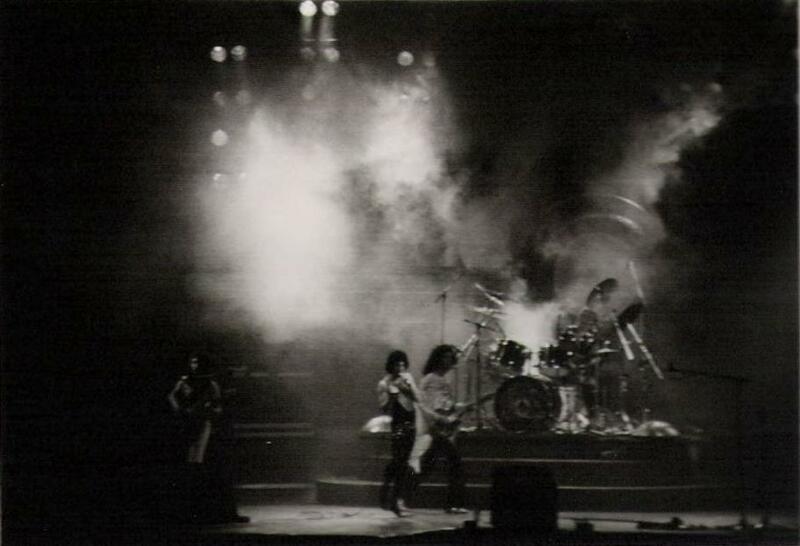 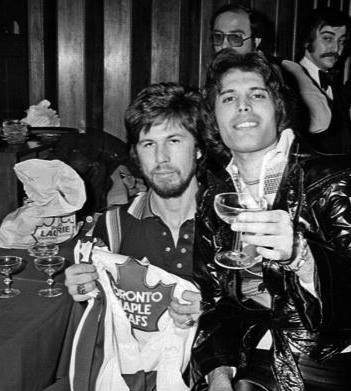 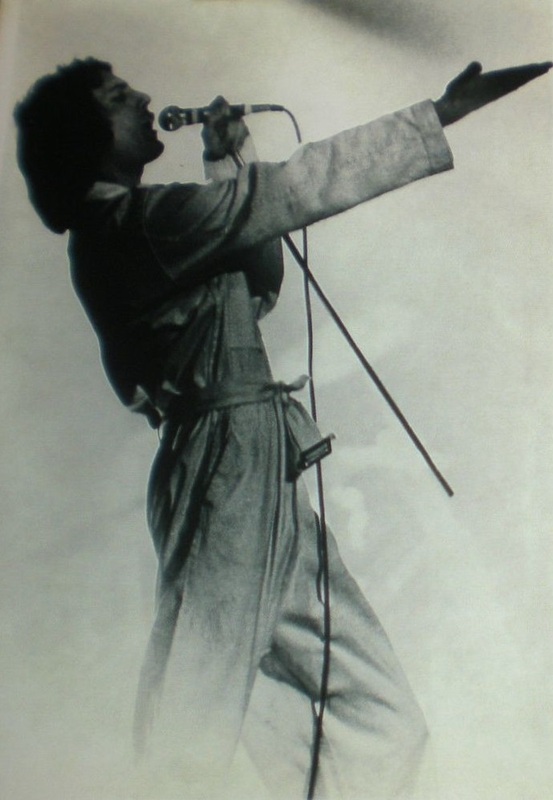 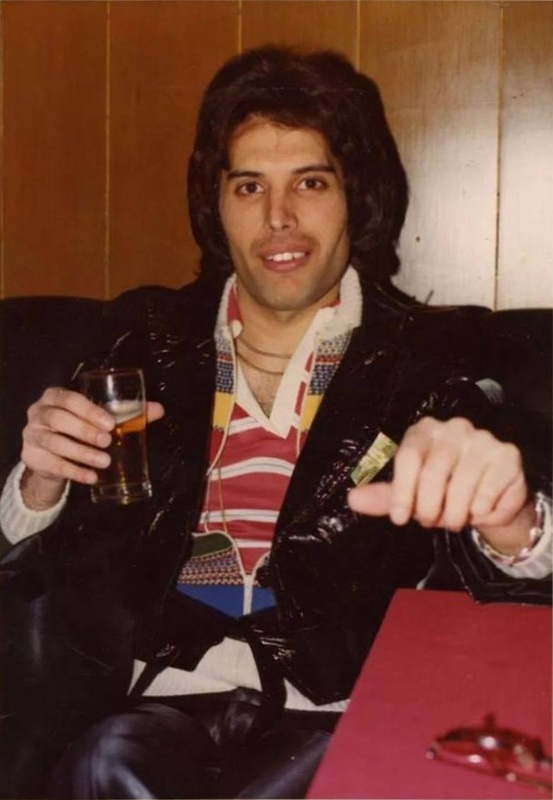 Pic 6 was taken during '39, pics 15 and 16 were taken during In The Lap Of The Gods...Revisited, pics 17 and 18 were taken during Now I'm Here (Freddie is seen throwing roses, with the thorns plucked out one by one by a member of the crew), and pics 19 and 20 were taken during Big Spender. 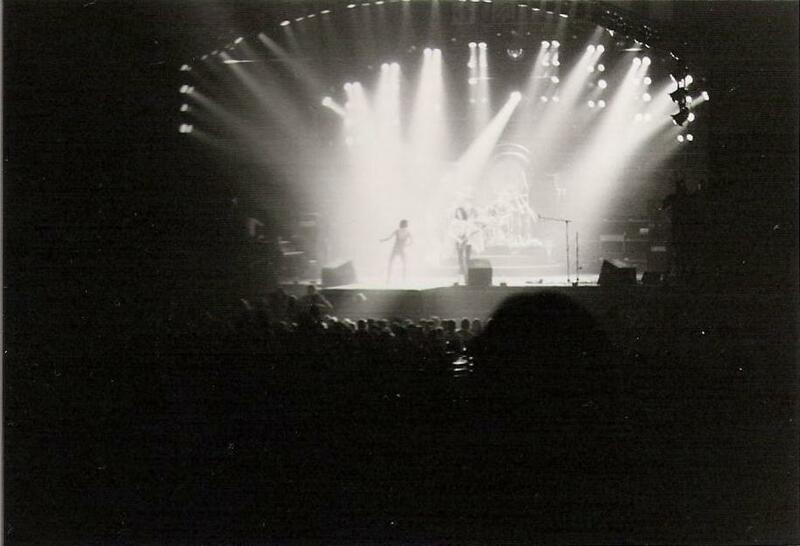 The last set of concert photos were taken by Wayne Brauer. 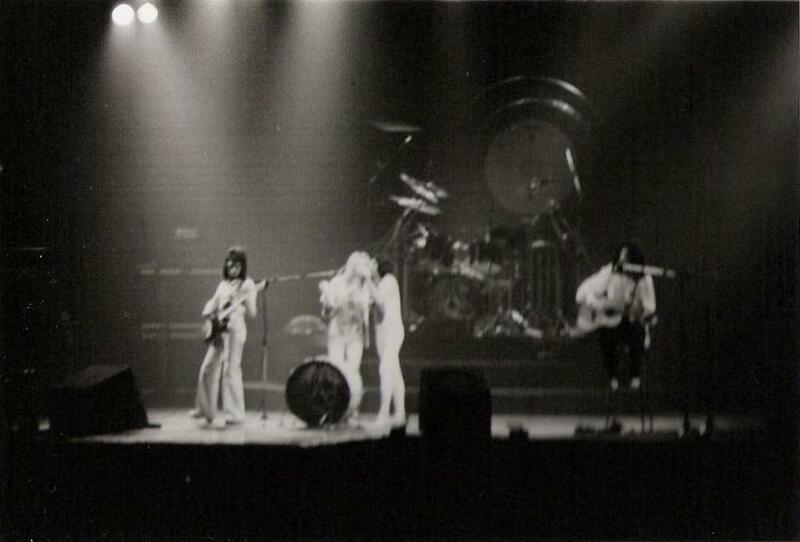 The backstage shots were taken by Michael Ochs.